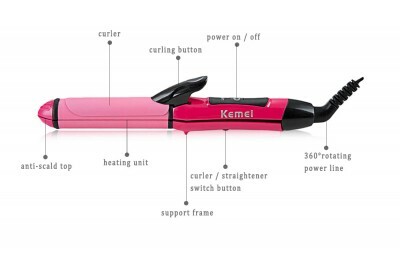 Instructions : This product is a ceramic coated straighter & crimper. 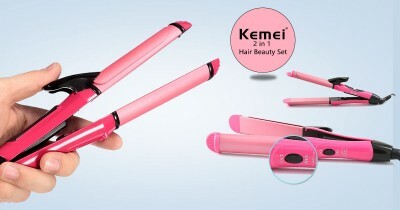 this styling set is a complete set, it can make your hair different styles, original perfected for salon use, is ideal for personal use at home. 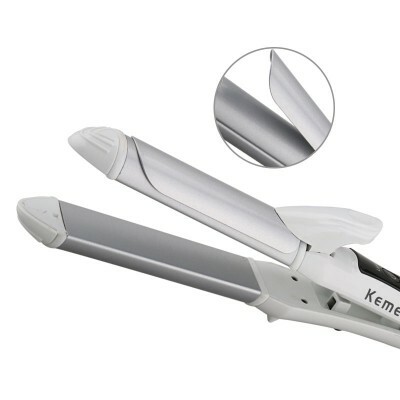 ceramic hot plates ensure equal heat distribution, relaxing the hair and creating a shiny, smooth finish, whilst a thermostatically controlled dial makes the professional ceramic hair straighter suitable for all hair types. it has uniform heating technology, real anti-scald design, how to use won'e be scalded, more energy efficient and more environment friendly. 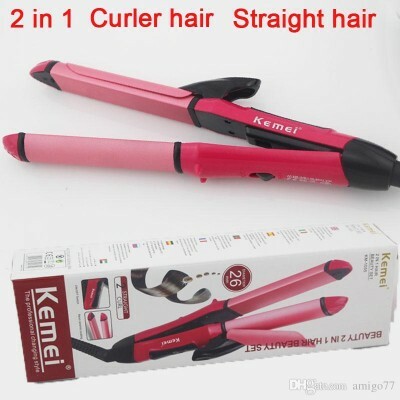 - Specification: Product : ceramic coated straighter & crimper. Input Voltage : AC-220-240V - 50-60Hz. Temperature control : constant temperature. 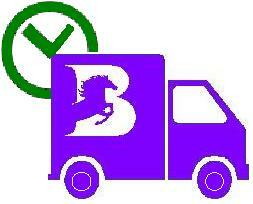 - Features: Ultra fast heat recovery. For all hair types, Super straight styles, never stick to the hair. Floating plates for superior alignment. - Item specifics-The Plug : EU. 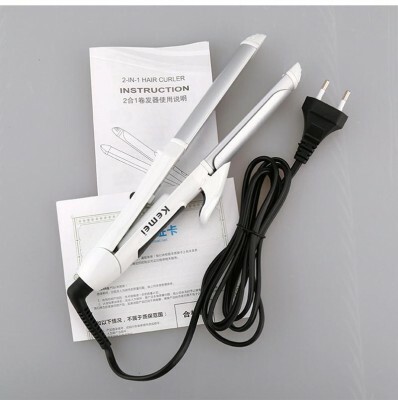 Plate Type : Aluminum, Power Source : Electric. Thermostat Adjustment Segments : 01. Service life of thermal plate/bar : 20,000 - 50,000 times. Optimal styling time : More than 5 min. Applicable hair : Dry & wet. Diameter of thermal conductor : Less than-15mm. Power : 25w - 39w. Dimensions Of Heating Plate : 90 x 42mm. Material of thermal plate/bar : Tourmaline ceramic. Power Cord Tail Assembly Mode : 360 Rotatable. Max - temperature : 200. - Safety Warning : Power off after us and disconnect with power supply as high-temperature remaining heat, don't touch the heating body to avoid being scalded. 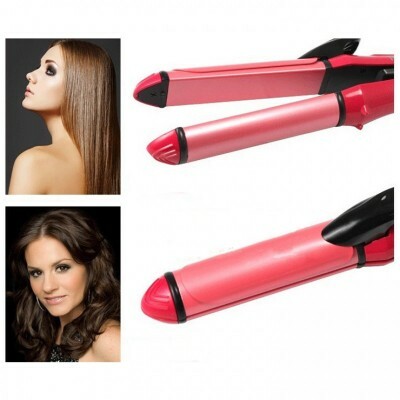 Steam will be generated when you apply high-temperature iron plate to wet hair, be careful not to burn yourself. 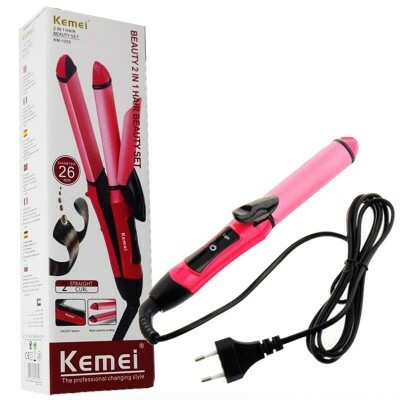 Don't put the hair straighter into water or other liquid to avoid short circuit, do not use it in most places such as bathroom, Clean the panel with a dry towel after use and don't scratch the panel with sharp tools.